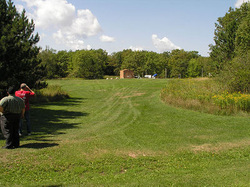 Lodging Facilities at Long Lake include: the North Star Lodge, Marcum House, and campsites. To find out more about Long Lake click here. Attendees must provide their own linens: pillows, sheets, blankets, sleeping bags towels, washcloths, and all toiletries. Prices below are for children and adults. Infants ages 0-2 are not charged for lodging. Individual bed in a single gender room. Room has 4 bunk beds. Must include at least one adult (21 years of age or older). Family rooms have private bathroom. To share a room with another family or friends, you must email the registrar wmsears-reg@nbs.usbnc.org with the names of the individuals you'd like to room with. The Registrar will make every effort to accommodate requests, but room requests are not guaranteed. Rooms have 4 bunk beds. The Lodge has 16 guest rooms. Each room has 4 bunks (8 beds), a shower, private toilet, and two sinks. Individual attendees will be housed at North Star. North Star Lobby will also house Registration, Bookstore and Volunteer Services. North Star Great Hall will provide a gathering place on Thursday during registration and be the location for morning keynote activities Thursday through Sunday. Registration will take place in the North Star Lodge lobby. Marcum House has 10 rooms with 4 bunks (8 beds) and 3 rooms with 4 beds. Each guest room has a modern bathroom with two sinks, private toilet and shower. Families will be housed in this lodge. Private access to each room is from the outside. Fire rings and picnic tables are NOT available. Portable camp stoves are allowed. 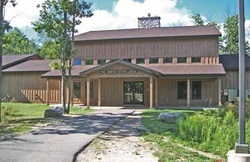 Bathroom facilities (1 male, 1 female) are accessible nearby in North Star Lodge. Bathrooms have sinks, shower and private toilet. Toilet-only facilities are also available to campers in the Dining Hall. Prefer to stay in a private hotel room? 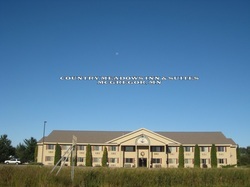 Nearby McGregor, MN offers hotel lodging at the Country Meadows Inn. Please contact the hotel directly for rates and reservations.